The fact that I am writing the words “the Cubs can win the World Series tonight” still does not seem real to me. This is a day I’ve thought about ever since I became old enough to understand baseball, the Cubs, and everything that comes with being a Cubs fan. To make it simple: today is the biggest day of my entire life, and I’m sure I’m not alone on this. I can’t help but think about all those times I played this game out both in my head and in my backyard as a kid. Game 7, bottom of the 9th, bases loaded, two outs, and the winning run coming to the plate in front of a delirious Wrigley Field crowd. Obviously tonight’s game will be played in Cleveland, but still. The thought of the Cubs winning the World Series is one that has passed through my head on average of at least once a day for nearly the last 18 years of my life, and now here we are about 8 hours away from the first pitch of Game 7 of the World Series. From the moment the Cubs recorded the 27th out in Game 6 Tuesday night, I’ve been trying so hard to not get caught up in the moment, to not think about what is at stake in Game 7. I have been rather unsuccessful thus far in blocking those thoughts from entering my brain, and therefore I am working on minimal sleep today. Now I’ve got to be honest. I have never actually been able to picture the Cubs winning the World Series. I can’t get an image in my head of what it would look like if they storm the field and create a dogpile on the pitcher’s mound and hoist that trophy. As hard as I’ve tried, I just keep coming up empty. And honestly, I’m fine with that. I want to see it actually unfold in real life, not in my head. I also can’t help but think about everything that has preceded this day. My dad’s parents, my grandparents, and my great grandma were all diehard Cubs fans who came and went without ever seeing their team win it all. One of my uncles, who passed away far too soon and whom I never had the opportunity to meet, was also a diehard Cubs fan and was even drafted by the Cubs out of college to pitch and play the outfield; a dream come true. He never saw the Cubs make the World Series. Then there are people like my dad, one of my other uncles, and my dad’s friends who have suffered through over 50-60 years of disappointment with the Cubs. I can guarantee you they will all agree that waiting so long for a World Series title was well worth it if the Cubs can pull it off tonight. And even I, almost 25 years old, can’t help but recall my earliest memories of being a Cubs fan and everything that has happened between then and now. From my first Cubs game at Wrigley Field against the Marlins in 1997, Sammy Sosa’s historic 1998 season, all the vacations that my dad and uncle took my brother and I on to see the Cubs play in different parks across the country (22 of them), the heartbreak that came with the 2003, 2007, 2008 and 2015 seasons, to now being one win away from winning it all. I can’t help but get emotional when thinking about everything that has led up to tonight’s game. And really, that’s kind of what this is all about. Years upon years of waiting for this moment while making memories along the way, and now it could all come to fruition in just a few hours. IF, and it’s a big if, the Cubs can pull off the impossible tonight and win the World Series for the first time since 1908, the scene that will unfold here in Chicago will be unlike anything this country has ever seen before with regards to a sports championship. The emotions and built-up stress in us fans will all be unleashed at once. Some people may go crazy and go out partying. Some people will celebrate by hugging each other. Others may break down into tears, and some might even go silent in disbelief. As for me, I don’t know what I would do if the Cubs were to win it. I’d probably lose my mind for a minute and go bouncing off the walls, but then I would likely regroup, sit down, maybe even shed a tear, and just soak it all in. It’s a moment you cannot prepare for. So I guess I’ll leave it at this. Tonight is the biggest night in the history of Chicago sports. It’s a night we’ve dreamed of for what seems like forever. Watch the game with people who will at the very least appreciate this as much as you. And if they do win tonight, make sure to remember those who are no longer around to see it. Tonight, the Chicago Cubs have a chance to win the World Series. Okay, I know it’s been months since I’ve posted anything here, but I’ve been ultra busy with my new job. Please forgive me. So what brought me out of my hole so randomly? The Cubs, of course. But I’m not here today to discuss what the Cubs have done so far or what they might do against Cleveland. No, I’m here to talk about something that has me extremely pissed off. Deep down I knew this would happen whenever the Cubs eventually made it to the World Series, and sure enough, it’s happening. EVERYONE is now claiming to be a Cubs fan. People who didn’t watch one regular season game, out of towners who have called themselves fans of other teams their whole lives (until now), and so on. Just like that, as soon as the Cubs won Game 6 of the NLCS, people from all corners of the country are jumping aboard the Cubs’ bandwagon. If you want to be a bandwagon fan and cheer for the Cubs all of a sudden, that’s fine. It happens every year with every sport. Fans, albeit not true fans, of other teams will root for a different team if their team is performing poorly. So be it. But DO NOT act like you have been a Cubs fan all along. Do not try and throw at me stats and other information about the Cubs while trying to look like you know everything about the team, the same team you didn’t give s*** about two weeks ago. I’ve seen it first hand multiple times now in recent days, where people who have bad-mouthed the Cubs at every opportunity over the years are all of a sudden trying to get tickets to Cubs playoff games, or they’re walking around the office and downtown Chicago with a brand new Cubs shirt and hat on. I’m sick of it, and I’m sure Cubs fans who are much older than me hate it even more. If you’re going to endlessly talk trash about the Cubs, don’t expect any respect from me or any other true Cubs fan when you all of a sudden show up wearing Cubs apparel as soon as they make it to the World Series for the first time in 71 years. You’re a fraud, and you shouldn’t be allowed within a mile of Wrigley Field during the World Series. Alright, that’s out of my system now. Carry on with your day. Oh, and by the way… Cubs in six. Guys like Travis Wood, Pedro Strop, Trevor Cahill, and Hector Rondon have all pitched well out of the pen so far this season, all things considered. You could even argue that Rondon has been one of baseball’s best relievers up to this point. But then you have Justin Grimm, Clayton Richard, and Adam Warren who have looked good at times, but just haven’t shown that consistency that we would like to see. For instance, if the playoffs started tonight, I would have next to zero confidence in Justin Grimm coming in during the 7th inning and escaping a jam. If the Cubs want to put themselves in the absolute best possible position to win through October, they need to acquire a rather dominant, back-end reliever at or before the trade deadline. I am by no means the first or only person talking about this “problem.” Anyone who watches the Cubs on a consistent basis sees the same thing. The only question is who might the Cubs’ front office target via a trade? There are two high profile relievers that have been linked to the Cubs for a few weeks now: Aroldis Chapman and Andrew Miller; both late-inning relievers for the Yankees. Us Cubs fans know exactly who Chapman is thanks to his time with the Reds. He owns a rocket-launcher for an arm, but can also let go of a nasty slider that catches hitters completely off balance and on their front foot. This season, Chapman has a 1.93 earned run average to go along with 21 strikeouts in 14 innings, and 11 saves. His downside is the fact that he was suspended for the first month of the season due to a domestic violence incident that he was involved in over the offseason. On the other hand, you have Andrew Miller. Miller owns a 1.01 ERA with 48 strikeouts in 26.2 innings pitched. And this season isn’t some fluke year for him either. Since 2013, the worst his ERA has been at the end of a season is 2.64. So if it came down to Chapman or Miller for the Cubs, which should they more aggressively pursue? The answer is Andrew Miller. Not only has he evolved into one of baseball’s most dominant relief pitchers, but he has always shown a willingness to pitch in whatever inning or situation he is asked to. Certain relievers only like pitching in the ninth, or in close games, or in no-pressure situations. With Miller, you get a guy who will do whatever is asked of him. Also, Theo Epstein and Jed Hoyer are familiar with Miller from his time in Boston, and vice versa. Believe it or not, that can be a big factor when making trades. So with Andrew Miller, Joe Maddon could then theoretically use him in the 8th inning as the setup man and keep Rondon in the closer role. Pedro Strop becomes the new 7th inning guy. Just like that, you have three rather dominant relievers at the back of the bullpen to help you finish off games. One of the biggest reasons why the Kansas City Royals won last year’s World Series was due to the fact that they were able to shorten games by having three great, shutdown relievers pitch late in ballgames. When you have a luxury like that in your bullpen, games in which you are winning all of a sudden become 6 or 7 inning games for the opponent. Of course, to get an Andrew Miller or Aroldis Chapman, the Yankees will demand a substantial return. They will likely ask for Baez, or Schwarber, or Wilson Contreras, or Gleyber Torres. The Cubs will likely not give up any of those players for a possible rental bullpen pitcher. Instead, they may be forced to trade away one of their second-tier prospects, a draft pick, and a player off their Major League roster. Maybe even a little more than that. What I don’t want to see, however, is the Cubs overpay for a relief pitcher that may not re-sign with the team after this season if his contract is up. The trade deadline is still over a month away, but that doesn’t mean a deal can’t get done before then. The sooner the Cubs can strengthen their bullpen, the better. It wasn’t until within the past few years that the Wizards returned to their original “Bullets” colors, and it was the right decision to do so. The red, white, and blue are appropriate colors for a D.C. team, and the way they are patterned on the Wizards’ jerseys is unlike any other uniform in the NBA. The gold and black go together really well, making their helmets one of the best in the NFL. That just tops off what is already a solid jersey-pant combination. Oh, the logo is great too. Like the Wizards, the Oilers recently went back to their original colors. The blue and orange are a great look, and their logo is one of my personal favorites in the NHL. Even their new orange alternates are fantastic. Uniforms that never or rarely change are the best uniforms. The Spurs have just that. Their jerseys are classics that will forever represent an era of dominance. You’ll notice a common theme developing here: Uniforms that don’t change. The Steelers have had that same black and yellow, bruising look to them forever. And their helmets are the only ones in the NFL to have the logo on just one side. Pin stripes, if done the right way, often lead to a great look in Major League Baseball. The Cubs have had their pinstripes for decades now, and it never gets old. The blue and red pop-out at you on these uniforms. They wear these blue tops quite regularly on the road. Many of the NBA’s all-time greats have worn this look, making it an instant classic. The yellow home jerseys are unlike any other uniform in basketball. Their white ones are too bad either. Another total classic here. The Winged-wheel is one of sports’ most recognizable logos, and the uniform itself has gone unchanged for years and years. There’s also more history to this franchise than most in all of professional sports. We’ll call it the “Brady-era look.” It wasn’t long before Brady took over under center that New England opted for a new look, going with the navy blue, red, and silver. Needless to say, it’s worked out quite well for them. It’s the uniform of Canada, although Montreal might have something to say about that. The Maple Leaf logo is so simple, yet great all at once. It was announced this year that the Leafs will be going to a new look starting next year, however. The exact look of the uniforms has not been released. The green and yellow combination is one of the more underrated color combos in sports (the Oakland A’s nearly made this list). The Packers have used it for the majority of their existence, and they will likely use it until football disappears. It’s hard to find a mistake with this uniform set. Here is another absolute timeless look. That old “D” on the chest just speaks “Detroit.” The navy blue outlining on their home whites looks incredibly good, and their road jerseys might be the best in baseball. Excluding the relatively newer NBA teams, the Bulls are the only team in the league to have used the same logo for their entire existence. And why change it? It’s perfectly intimidating. They also use the red and black color scheme better than most other teams in pro sports. This was very close to being the top MLB uniform on this list. The Cardinals’ logo is perfect and hasn’t been touched since at least the mid 1960’s. The red outlining makes their home whites really stand out at you. Also, their recent throwback additions are better than most other MLB uniforms. Quite possibly the most classic look in the NFL. The Bears haven’t changed their look since the 1950’s, and there is absolutely no reason to do so. Like many of its predecessors (and those soon to follow), the Celtics have owned the same appearance forever. From players like Bird, Russell, Havlicek, Cousy, to more recent players like Pierce, Allen, and Garnett, they’ve all worn the same thing. This uniform just looks like a winner. This one doesn’t need much of an explanation. When you look up the word “greatness” in the dictionary, you just might find a picture of this team. They’ve looked the same since Ruth and Gehrig were taking the field. You won’t find a better logo in sports, or a better secondary logo for that matter. The indianhead is unmistakable, and the tomahawks crossing over the “C” are a perfect second logo for this Chicago team. Their red sweaters jump out at you unlike any other uniform at any level of sports, and their whites allow the colors within the indianhead to look even brighter. You may call me a homer for having four Chicago teams on this list, but the fact of the matter is that they deserve to be where they are. Teams that have a rich history and virtually unchanged uniforms are what make the best uniforms, and that’s a lot of what you get with these rankings. You’ll also notice that cities such as Boston, Chicago, and Detroit are very prevalent here. That is because they are old, historic cities with just as old and historic pro-sports franchises. For the first time in a long time, we were expecting big things from the Cubs coming out of Spring Training this year. Talks of a division title and even, dare I say it, a World Series became common throughout the baseball world. Finally, us Cubs fans were seeing everything seem to perfectly align with their roster. Here’s the thing: saying that the Cubs have the best lineup in baseball, (arguably) the best pitcher in baseball, and that they are likely the best overall team in baseball is easy. For the Cubs to then go out and perform well and live up to those expectations, however, is a completely different animal. Not only do this year’s Cubs have the weight of a 108-year World Series title drought resting on their shoulders, but now they have the biggest expectations in franchise history joining that drought on their shoulders. Dealing with that kind of pressure directly out of Spring Training is no easy task, yet this Cubs team has embraced it. Expectations for this year’s Cubs were/are incredibly high, and somehow they have met those expectations through the first full month of the season. We knew the offense would be good, and possibly historically good with the additions of Jason Heyward and Ben Zobrist, as well as the re-signing of Dexter Fowler. So far, we’re seeing pretty much what we had expected. Through 25 games the Cubs have scored 153 runs, which is good for a tie atop the entire league with St. Louis, and they lead the league with a 6.12 runs per game average. They rank second in the Majors with a .362 on-base percentage. Their 134 walks are 18 more than any other team in baseball. And how about their run differential of +89. The next closest team in that category is +40. In fact, the Cubs current run differential is the best baseball has seen through 25 games since 1905. Let that sink in. Let’s not only focus on the offense though. The Cubs’ pitching is more than deserving of recognition. The 2.29 team ERA of the Cubs is the best in baseball, as is their grand total of 57 earned runs allowed (64 runs including unearned). Also the best in the Major Leagues is their .195 batting average against. The next closest in that department is Washington at .215. And just for kicks, they have allowed the fewest hits in baseball (153), and the fewest total bases against (239). They are tied with Cleveland for the fourth fewest walks allowed. So not only has the offense performed well, but the Cubs’ pitching has been just as good, if not better. As for individual performances thus far, Dexter Fowler leads all of baseball in on-base percentage at a .473 clip and is tied for fourth with a 1.8 WAR. On the mound, Jake Arrieta is second in the MLB among starters with a 0.84 earned run average, and is tied for the league lead with 6 victories. His .142 batting average against is second best in baseball, and he was the first pitcher this year to throw a no-hitter; his second since last August. In the big picture, Arrieta is in the midst of one of the greatest stretches of starting pitching in Major League history. The scary thing about this Cubs team is the fact that offensively, they haven’t hit their peak yet. Only two “everyday” players, Fowler and Bryant, have a batting average over .300, and only one other everyday player, Zobrist, has an average over .250. Jason Heyward, the prized free agent signing, has yet to hit a home run and has just a .211 average. When the weather in Chicago turns to summer and the temperature warms up, this offense has the potential to explode. Expectations are one thing. Going out and meeting those expectations is another, and that is exactly what the Cubs, as a team, are doing. With a 5-game lead in the Central Division (7-game lead over St. Louis), the Cubs are in the best spot of any division-leading team in the game heading into the warmer months. Sure there is still lots of time left in the season and virtually anything can still happen. However, there is no denying that the Cubs are scary-good this year with still lots of room to improve on the offensive side. This is shaping up to be an unforgettable summer and, hopefully, fall as well. It has unfortunately become the “norm” for any breakout star in Major League Baseball to be accused of taking performance enhancing drugs. Whether the accusations are warranted or not, this has turned into a common trend in the MLB. The latest such instance involves Cubs pitcher, and reigning Cy Young winner, Jake Arrieta. Arrieta is in the midst of one of the greatest stretches of starting pitching the game has ever seen. In fact, if he does not allow an earned run in his next start, he will break Bob Gibson’s MLB record for the lowest earned run average over a 20 game period. This season, Jake Arrieta has picked up right where he left off last season. He is 4-0 with a 0.87 ERA and has already thrown one no-hitter; his second no-hitter since last August. In recent days, however, people have begun questioning if Arrieta has cheated his way to such dominance. Stephen A. Smith of ESPN even brought up this speculation on “First Take” with Skip Bayless Wednesday afternoon. Not that I have any proof that Jake Arrieta is telling the truth when he denies these claims, but I firmly believe him when he says he has never taken a PED. Anyone who has knowledge of his workout routine or diets knows quite well that this guy takes care of his body and works to achieve his physical figure and baseball statistics. It is sad that no great baseball player can be left alone without being accused of cheating his way to greatness. And the blame for this falls squarely on the shoulders of past and even present MLB stars who have aggressively denied ever using PED’s, only to later test positive for using them. Players like Rafael Palmeiro, Alex Rodriguez, and Ryan Braun immediately come to mind as such players. Jake Arrieta was one of the top pitching prospects in all of baseball while coming up through the Orioles’ farm system. He has always had good stuff and great potential, but only since joining the Cubs has he lived up to those expectations. People like Stephen A. Smith look at Arrieta’s lack of production with Baltimore and sudden dominance with the Cubs and automatically assume that this guy is cheating. My question is why? Sure, the recent history of top baseball players being found guilty of using PED’s has created a culture of speculation in Major League Baseball. But do some thinking before jumping to conclusions. Like I said, Arrieta was regarded as a top pitching prospect while coming up with Baltimore. He struggled in his first couple of years in the big leagues and was eventually demoted back to Triple A. Then he was dealt to the Cubs where he began working with new pitching coach Chris Bosio, who is one of the best in the game at what he does, and the success started. Arrieta has always had good stuff, but now he has finally figured out how to put it all together. It’s not as though he was some no name player with minimal potential who went from below average to dominant. The potential has always been there. The bottom line here is that it is sad that no player can go from mediocre to great in baseball anymore without being questioned about the use of performance enhancing drugs. And the ones to blame are the guys that have been caught already, as well as the other players, coaches, and management that let guys like Sosa, McGwire, and Bonds get away with cheating for as long as they did. Again, I have no way of knowing for sure whether or not Jake Arrieta or any other player is using PED’s, but to see professional sports journalists go on national TV and make accusations against a guy, with nothing to base them on other than statistics, makes me sick. Arrieta has always had incredible stuff, but finally figured out how to use it all effectively once joining the Cubs. So let’s please stop this PED nonsense and just enjoy arguably the best stretch of starting pitching in the history of the game. Just like that, we’ve made it through 2015 and are about to enter 2016. I have to say that 2015 was a pretty great year looking back on it both for me personally, and from a Chicago sports perspective (at least for the most part). This is the first time I have done this, but I’m looking forward to recapping the past year of Chicago sports. Enjoy. 2015 had a bit of a rough beginning for the Bears. They missed last year’s playoffs and began their offseason by firing general manager Phil Emery, head coach Marc Trestman, and most of the coaching staff. Ryan Pace was brought in to turn things around as the new GM, and one of his first moves was making former Broncos head coach, John Fox, the Bears’ new head man. Adam Gase and Vic Fangio both left San Francisco to be the Bears’ new offensive and defensive coordinators, respectively, giving the Bears one of the league’s best coaching staffs. Kevin White was selected as the Bears’ number one pick in the 2015 NFL draft with the hopes of building a formidable receiving core between him and Alshon Jeffery, but White missed the entire 2015 season due to injury. Following White’s lead, the Bears could not stay healthy this season. This forced lineman to switch positions and backup players to become starters. Not that there was much optimism surrounding the Bears’ heading into 2015 season, but the injuries they suffered kept them from finishing with a better record. As it stands right now, the Bears are 6-9. Looking ahead to 2016, it may be reasonable to expect a better Bears team than the one we saw this season, but the playoffs should still be out of the picture. However, I look at Ryan Pace as an up and coming Theo Epstein-type GM, and I have confidence that he’ll turn this thing around sooner than later. The Blackhawks solidified themselves as a modern day dynasty in the NHL by winning their third Stanley Cup in six seasons in 2015. Things were not looking so bright, however, when Patrick Kane suffered a broken clavicle near the end of February that required surgery. He was ruled out for possibly twelve weeks. What the Kane injury did that some people overlooked at the time was open up $6.5 million in salary cap space for the Blackhawks. By placing Kane on long-term injured reserve, his cap hit vanished. Stan Bowman took advantage of this and went ahead and traded for the likes of Antoine Vermette, Andrew Desjardins, and Kimmo Timonen. Obviously the Hawks went on to make the playoffs, and as a surprise to everyone, Patrick Kane was in the lineup for Game 1 of Round 1 against the Nashville Predators; about a month or so ahead of schedule. The Blackhawks would go on to defeat the Predators in six games, sweep the Minnesota Wild, and knock out the Anaheim Ducks in seven to win the Western Conference and advance to the Stanley Cup Final. In the Cup Final, the Hawks took games 1, 4, 5, and 6 to win their third Cup in six years, but it was the first time since 1938 that they won it on home ice. Duncan Keith won the Conn Smythe as the playoff MVP by unanimous vote. Andrew Desjardins and Antoine Vermette both played pivotal roles for the Hawks throughout the postseason, and without them it could be argued that they would not have won the Cup. So far in this 2015-16 season and following some significant roster changes over the summer, the Blackhawks sit third in the Central Division with 46 points through 38 games played. Patrick Kane leads the NHL with 53 points and set the Blackhawks’ and American-born record with 26 consecutive games with at least one point, a streak that ended just a couple of weeks ago. Moving forward, there is no question that the Hawks could use an addition on the blue line as well as at the left wing position. If they can somehow upgrade in those areas, we could be looking at another deep playoff run in a few months. The Bulls ended their 2014-15 season with a 50-32 record, which was good for third in the Eastern Conference. In the playoffs they beat the Milwaukee Bucks in six games before getting knocked out in six games by Lebron James and the Cleveland Cavaliers in the Eastern Conference semifinals. Following the end to their season, the Bulls’ front office decided it was time to let head coach Tom Thibodeau go. The two sides never seemed to be on the same page during Thib’s time in Chicago despite his .647 win percentage in five seasons with the Bulls. As a replacement, Fred Hoiberg was lured away from Iowa State to become the new Bulls head coach. In the NBA draft, the Bulls took Arkansas forward Bobby Portis with their top pick, and he has been a pleasant surprise so far this season. The Bulls as a team are 18-12 through 30 games this year, which isn’t bad, but their apparent off-the-court problems seem to be overshadowing what is taking place on the court. To make it simple, the Bulls are a dysfunctional group of players. Derrick Rose has gradually been losing his place as the face of the team to Jimmy Butler, and the two of them are rumored to have issues with one another. As the season progresses into 2016, there is a chance we see Pau Gasol get traded away has he has already stated he would like to explore free agency in the summer. Whether or not that happens, the Bulls will still be in the playoffs come April, but won’t get too far as long as Cleveland remains intact. The future is not as bright for the Bulls as it has been in recent years. Next to the Blackhawks winning the 2015 Stanley Cup, the Cubs were the best sports story in Chicago this year. After finishing the 2014 season with a record of 73-89, manager Joe Maddon and starting pitcher Jon Lester were brought in during the fall of 2014. Instantly, Maddon instilled playoff expectations in his team and a completely new vibe. The Cubs started their 2015 season with four of their top prospects (Kris Bryant, Addison Russell, Javier Baez, and Kyle Schwarber) all in the minor leagues, but soon brought up both Bryant and Russell by the end of April. As the spring gave way to summer, the Cubs took off and just about steamrolled their way through the remainder of the regular season. Kris Bryant wound up hitting .275 with 26 home runs and 99 runs batted in, and took home Rookie of the Year honors this past fall. Anthony Rizzo led the team with 31 homers and 101 runs batted. Kyle Schwarber was called-up a little over mid-way through the season and ended up with 16 dingers and 43 RBI in just 69 games. On the other side of things, Jake Arrieta put together the best second half to a season by a starting pitcher in MLB history, and ended the regular season with a 1.77 earned run average while leading the MLB with 22 victories (and just 6 losses). 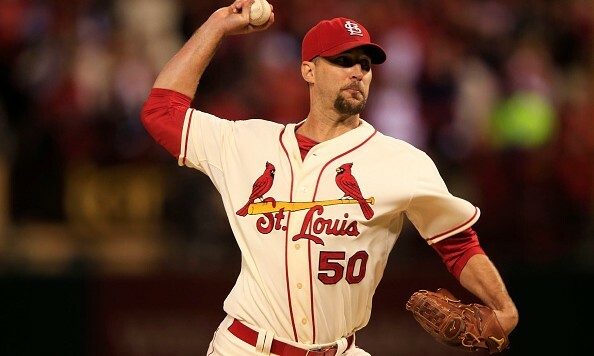 He threw his first career no-hitter on August 30th, and won the National League Cy Young Award. The Cubs finished the season with 97 wins, good for third best in baseball, and beat the Pittsburgh Pirates in the NL Wild Card game. In the National League Division Series against the St. Louis Cardinals, the Cubs took games 2, 3, and 4 to win the series and advance to the National League Championship Series for the first time since 2003. They would end up getting swept by the Mets, but that is beside the point. The Cubs showed the baseball world that they are the real deal by winning 97 games and moving on to the NLCS behind their young bats and top of the rotation. So far this offseason the Cubs have only gotten better. They have, to this point, signed John Lackey, Ben Zobrist, and Jason Heyward, giving them one of the best starting rotations in the National League and arguably the best lineup in baseball. Expectations have not been this high for the Cubs in a long, long time, and 2016 is shaping up to be an unbelievably exciting year on the North Side. The Sox brought in Jeff Samardzija, David Robertson, and Adam LaRoche heading into the 2015 season with the hopes of making a surprise run in the AL Central. Unfortunately for them, things did not go as planned. second to last in their division. Jeff Samardzija was a major disappointment as he ended the year with a league-worst earned run average of 4.96. Chris Sale, who got off to a great start to the year, did not have a great finish, but still wound up with a respectable 3.41 ERA and the third most strikeouts in the Major Leagues. On the offensive side, Jose Abreu put together another stellar year with a .290 average, 30 home runs, and 101 runs batted in. Much like Samardzija, Adam LaRoche was extremely underwhelming with a .207 average and just 12 home runs and 44 RBI. So far this offseason, the White Sox seem to be working towards competing in 2016 instead of rebuilding. They recently acquired Todd Frazier from the Reds in a three-team deal, and Frazier will no doubt be a huge upgrade at the hot corner for the Sox and in the middle of their order. As of now, the Sox are being linked to Yoenis Cespedes as a possible landing spot for the free agent outfielder. If they can sign him, they’ll all of a sudden have a threatening lineup. The White Sox still need another quality starting pitcher to be considered a real threat in the Central. As things stand at this moment, they shouldn’t be considered a playoff threat. That could change with a couple of good signings though. So there you have it. Chicago sports in 2015. Overall, it was a pretty good year for the city with three of their five teams making the playoffs and one walking away as a champion. Not every sports town can make the same claim as often as Chicago can.